The 2018 Hyundai I20 automatic is all set to launch in India this May. To compete against the likes of Maruti Baleno CVT and Honda Jazz CVT. Hyundai Motor India will launch the automatic variant of its premium hatchback new 2018 Hyundai Elite i20 in India this May. The South Korean automaker confirmed the same at the 2018 Auto Expo. 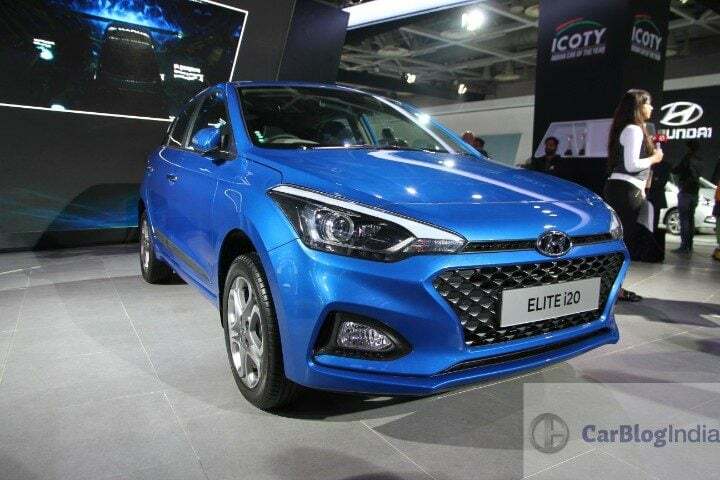 At the event, we saw the debut of the facelifted Elite i20. The previous iteration of the premium hatchback already had an automatic gearbox. However, it was a 4-speed torque converter unit. The new Hyundai i20 automatic will feature a CVT unit. This will directly pitch the car against the likes of Baleno and Jazz’s automatic versions as they offer CVT transmissions. The earlier 4-speed manual was turning out a bit expensive for the Indian market. Hence, the automaker decided to shift to the more affordable CVT unit. The new automatic gearbox will find its place with the 1.2-litre petrol engine. Expect prices to start from INR 7 lakh. This will add to the appeal of the recently refreshed premium hatchback. The new 2018 Hyundai i20 comes with a number of updates. The exterior profile is where all of the major changes have taken place. Up-front, the premium hatchback gets revised headlamps. That said, they remain similar in shape. The side profile of the hatchback retains the existing model’s silhouette. Same is the case with the rear-fascia as well. The taillights feature a new design. The new 2018 Hyundai i20 scores very high when it comes to cabin quality. The upholstery is made of good quality materials, enhancing the cabin’s up-market feel. The cabin is very spacious and offers good visibility. The rear seat comfort is also quite commendable. As a result, this hatchback offers a tough competition to its rivals. Hyundai has ditched the existing 1.4-litre petrol engine from i20’s line-up with this update. The premium hatchback now comes with a 1.2-litre petrol and a 1.4-litre diesel mil.